Growing up on the west coast of Canada, there was never a shortage of salmon in my freezer. 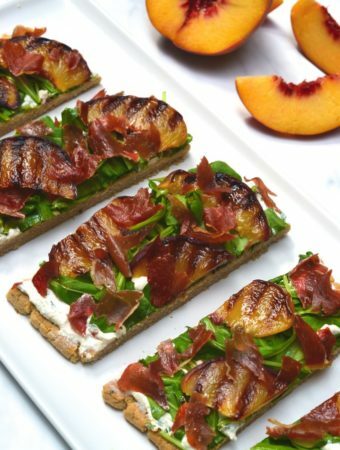 I used to eat homemade smoked salmon cream cheese by the spoonful and lather it on bagels and crackers. 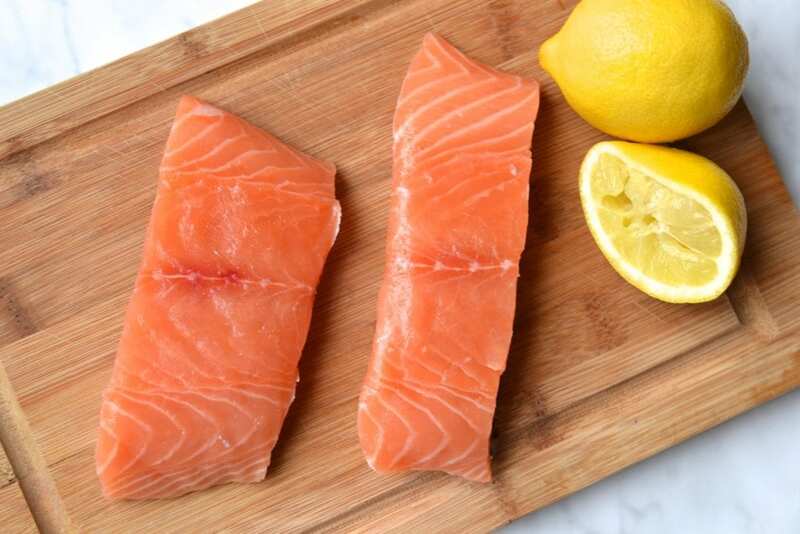 Since beginning a strict diet, I have realized that store bought smoked salmon can be packed with hidden ingredients including additives and lots of sugar. Rather then try and smoke salmon in my tiny flat in London (the neighbours would kill me!) 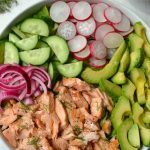 I decided to create a spread using an alternative type of salmon. 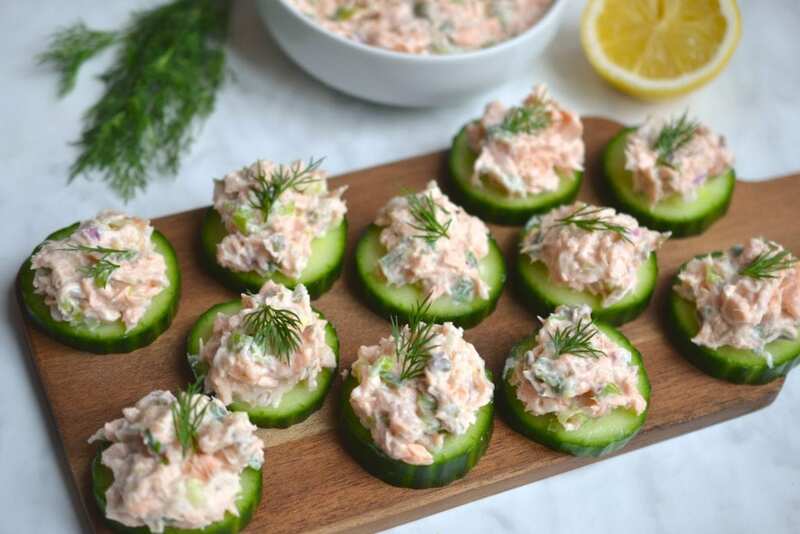 I served this dip as an appetizer on top of cucumber rounds and they were a hit with guests. 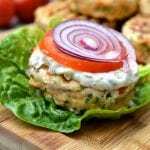 It would also be delicious as sandwich spread inside a romaine lettuce leaf or with crackers or veggies as a dip. If you are looking for a new healthy snack option, this is a great option. The Poached Salmon Spread will last for about 3 to 4 days in the fridge, but I seem to always finish mine in less then 2 days. 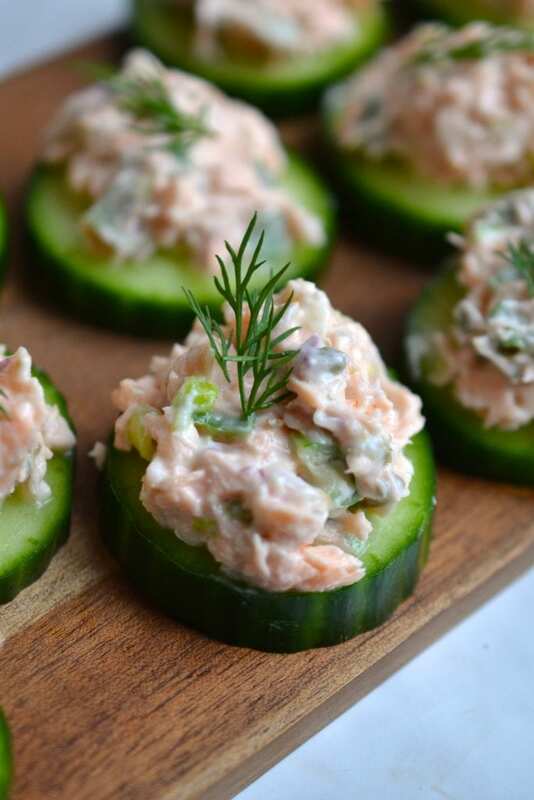 This poached salmon spread is soooo tasty and easy to make. 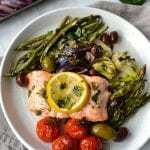 All you do is add salmon to a pan of water with some lemon and onion for flavouring and let it cook for a few minutes. 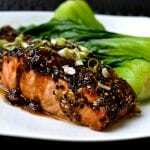 Once the salmon is cooked, let it cool and then flake it with a fork. 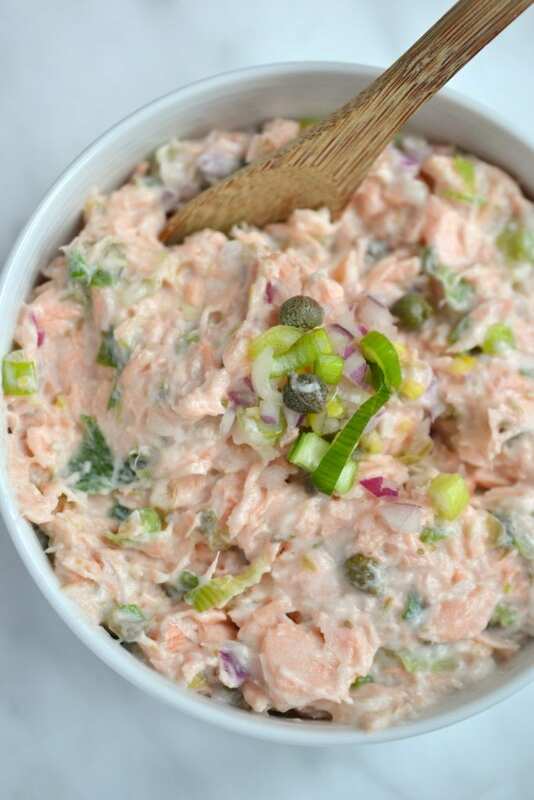 Toss the salmon into a bowl and add in homemade mayo, capers, dill and onion. It’s so simple, and so good. 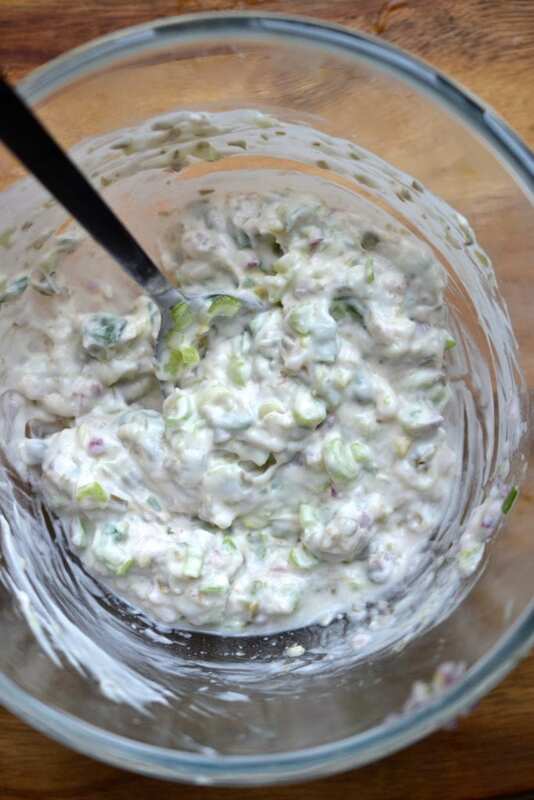 I’ve included a recipe for a super simple mayonnaise that takes less then 5 minutes to make. 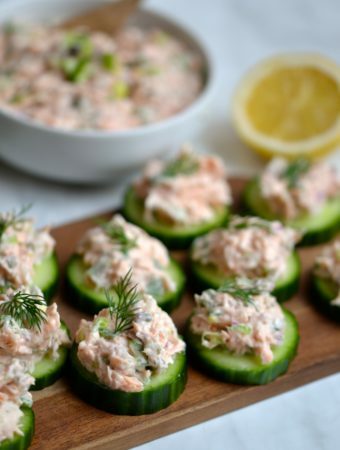 If you have a mayonnaise you prefer, feel free to use it, it shouldn’t make a difference for the Poached Salmon Spread. Squeeze the juice from half a lemon into a bowl and set aside. 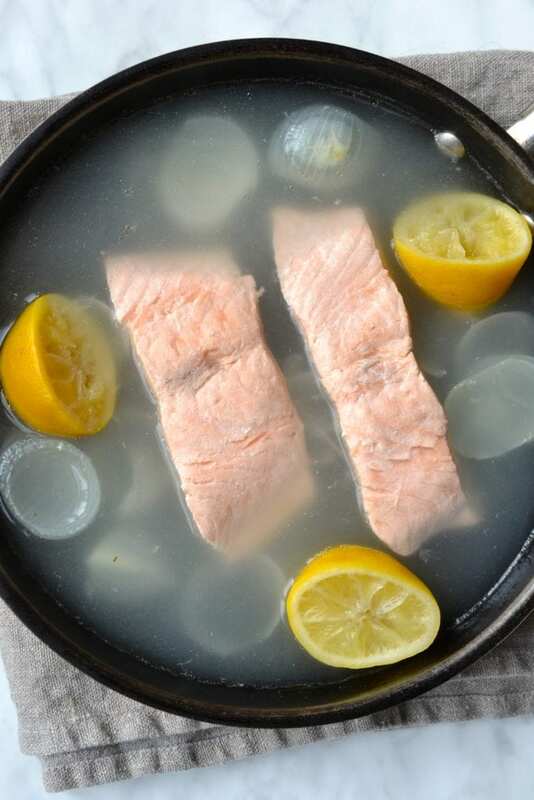 In a deep pan place the halved lemons, onion quarters and enough water to fill the skillet 2-3 inches deep. Bring the water to a boil. Reduce the temperature to low so that the water is at a gentle simmer. Season the salmon with salt and lower it into the pan. Cover with a lid and let cook for approximately 5 minutes until the fish is opaque in colour. 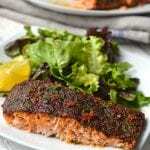 Remove the salmon from the water and allow to cool. 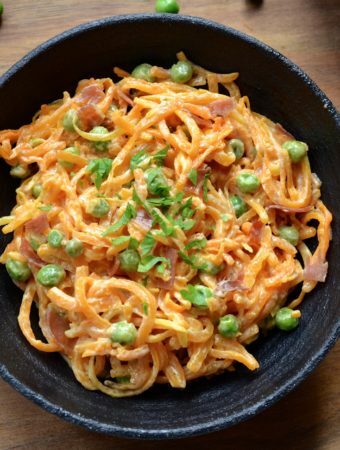 In a bowl whisk together the mayonnaise, capers, green onions, red onions, dill and lemon juice. 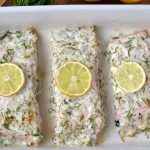 Use a fork to break the salmon fillets into small flakes. 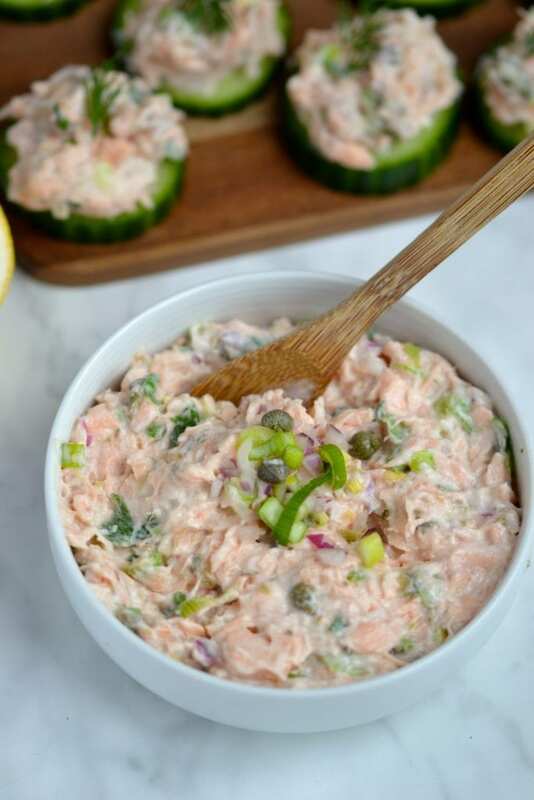 Add the flaked salmon to the mayonnaise mixture and stir until well combined. Taste and add salt if necessary. 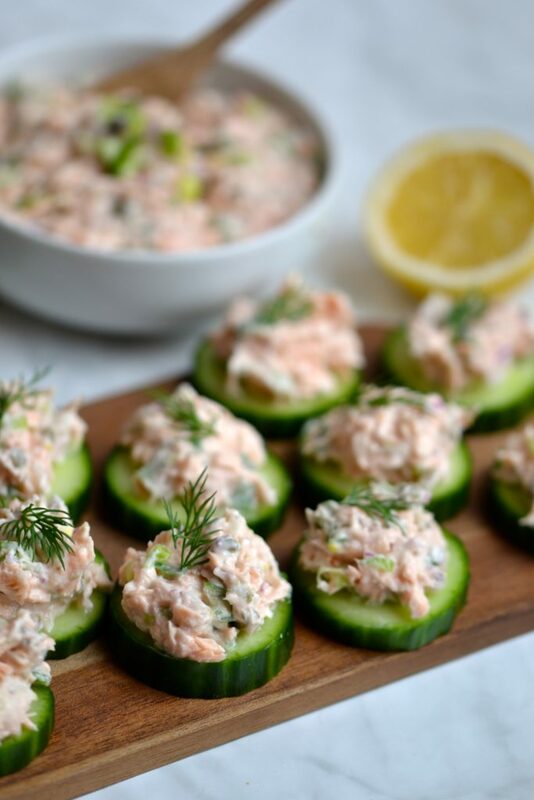 Store the salmon spread in the fridge for at least 30 minutes to allow the flavours to blend. It can be made up to a day in advance. 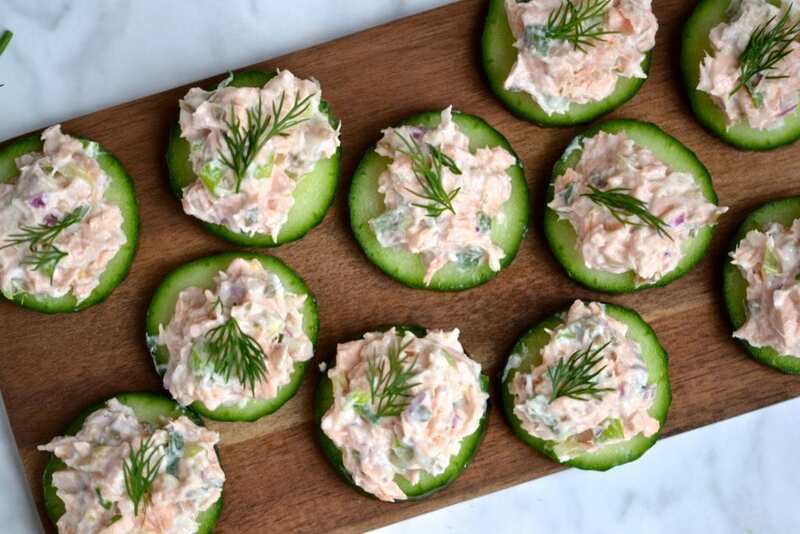 Serve the spread with crackers or on cucumber slices topped with a sprig of fresh dill. 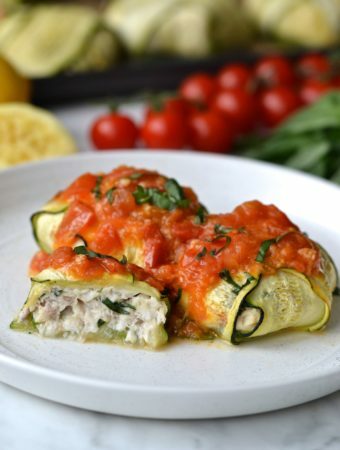 Loved this and will definitely be making it again! Thank you! So happy to hear that!!! Thanks for leaving a comment! 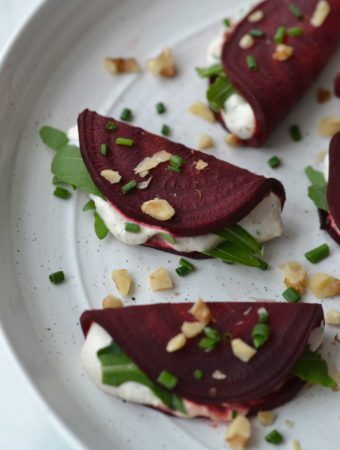 This sounds utterly delicious – a snack or lunch! pinned! 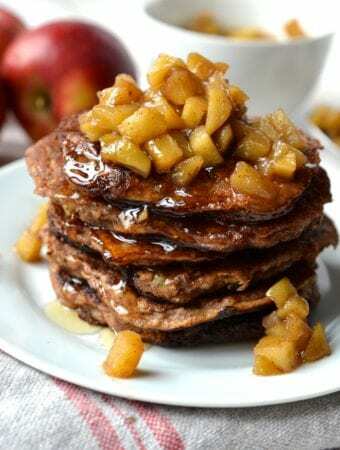 I’d love to have you share at our What’s for Dinner Party!